Real Madrid interim manager Santiago Solari has set a hugely impressive record at the start of his reign as boss at the Bernabeu. The Argentine has been placed in temporary change of the club following the sacking of Julen Lopetegui, who did a poor job of replacing Zinedine Zidane after he stepped down in the summer. Few would have expected much from Solari, who is an inexperienced name at the highest level, but he’s done brilliantly in his first three matches in charge. 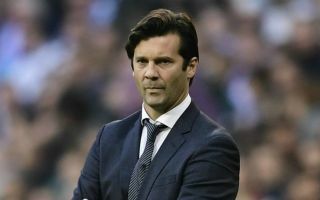 According to Goal, Solari has actually made the best start of any Madrid manager since all the way back in 1957 by winning his first three games and keeping three clean sheets. That’s better even than Zidane, who went on to be a huge success as Real manager, winning three Champions League titles in less than three full seasons in charge. Los Blancos won 5-0 in the Champions League this evening against Viktoria Plzen, and though Solari has had a bit of an easy start, some will soon be calling for him to get the job permanently despite talk of bigger names potentially coming in to get the position.